Hotel N Parking will not collect personally identifiable information like your name, e-mail, mailing address and telephone number without your knowledge and permission; and we will take reasonable steps to protect the security of the Personal Information we collect from you. When you decide to conduct a transaction with HotelNParking.com, we will collect Personal Information about you that you voluntarily share with us. We collect Personal Information that is necessary for us to provide you with the services offered on our site. This Personal Information may include your name, e-mail and mailing address, telephone number and credit card information. If you decide to become a registered user of this site, you will provide an e-mail address, and select a password that will be required to gain access to portions of our site. We share the following personal information with the hotel supplier(s) you have chosen to conduct business with: Your name, travel departure & return dates & times and credit card information to reserve and guarantee your reservation. We do not share your email address, phone number. We contract with other companies to perform various functions necessary to operate our business - for example, to process credit cards. 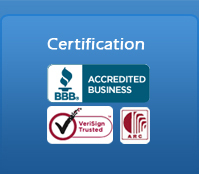 We will share with these other companies only that Personal Information they require to fulfill your orders. These companies agree that they will not use or disclose that Personal Information for any other purpose. From time to time, HotelNParking.com may contact you by mail or email to make you aware of special offers, new services and other information we believe to be of interest. 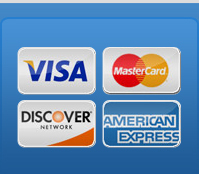 We will also send you an email confirmation/receipt whenever you conduct a transaction on our web site. We always give you the choice to opt-out from receiving advertisements, updates and promotions. You can let us know if you do not want us to use your e-mail address to deliver to you: (1) Occasional promotions and travel specials from our carefully selected business partners, and advertisers; and/or (2) Information specific to HotelnParking.com including special discounts offered by our partner hotel vendors. If you do not opt-out from receiving these communications about our site, we will send them to you. HotelnParking.com makes every reasonable effort to keep your personal information safe and secure. We also protect the connection between your computer and our server from eavesdropping through industry-standard encryption technology known as Secure Socket Layer (SSL). Depending on your browser, this SSL will have encryption keys of up to 128 bits. In the event that HotelnParking.com is merged, disposed of, or sold in part or in full, customer information could be one of the assets that are transferred and your personally identifiable information accessed by successor or purchaser. Hotel N Parking does not offer any services pertinent to children under the age of 18. If you are under the age of 18, you may use HotelNParking.com only with the involvement of a parent or guardian.